How to have fewer mistakes in the workplace. Susan Cain’s comments about work spaces in ‘Quiet: the power of introverts in a world that won’t stop talking’, make me really excited. 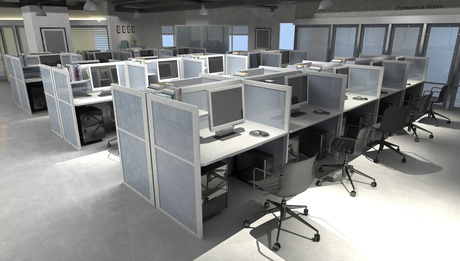 Based on years of research I strongly believe that too many open plan office layouts are very poorly designed and grossly inefficient. The businesses who think they’re saving money by cramming people into big shared spaces are deluded. Instead, in many cases they’re losing terrible amounts of money in uncountable lost productivity. But back to the book, which backs up my concerns. They ran the Games with computer programmers, seeking to find the characteristics of the best and worst. More than 600 developers from 92 companies participated. Each designed, coded and tested a program, working in his normal office space during business hours. The best out-performed the worst by a ratio of 10:1. It wasn’t about experience. The ones who turned in zero-defect work took slightly less, not more, time to complete the exercise than those who made mistakes. The top performers overwhelmingly worked for companies that gave their workers the most privacy, personal space, control over their physical environments and freedom from interruption. If you’re one of the worker bees, and an introvert as well, seek ways to work in quiet space as much as possible. Can you work from home some or all of the time? Have you got a headset to block the noise around you and to signal to your colleagues that you’re busy? Can you shift your seat away from noisy traffic flow? And if all else fails, maybe a different organisation will be better to work for. Read the book. Actually, read DeMarco and Lister’s book as well, give them to the boss (if you work for someone else), and start a campaign for commonsense. This trend has gone too far! 70% work in open plan. In the 1970s it was considered that 500 sq. ft. per employee was about right. By 2010 that figure had shrunk to 200 sq. ft. per employee. Some of this shrinkage is because, as a recent survey found, 91% of high-level managers believe that teams are the key to success. Of course they’ll think that if all their conditioning right through school and university has stressed the importance of collaboration and working together. A further imperative is the desire to save money on office floor space. And everyone’s doing it so it must be right. Or must it??? But if introverts need quiet and solitude to develop their thoughts and tap into their creativity, what happens? We reduce the potential of close to half the people in most work teams. Every time I write about the lost productivity of open plan offices (and how to work around it) I get vociferous agreement. But many designers and bosses aren’t listening – to their detriment! Or the ones who are listening are pushing against the tide of commonly held opinion amongst their peers.